As an ectotherm—an animal that relies on an external source of heat —a turtle's body temperature tracks that of its environment. If the pond water is 1℃, so is the turtle's body. 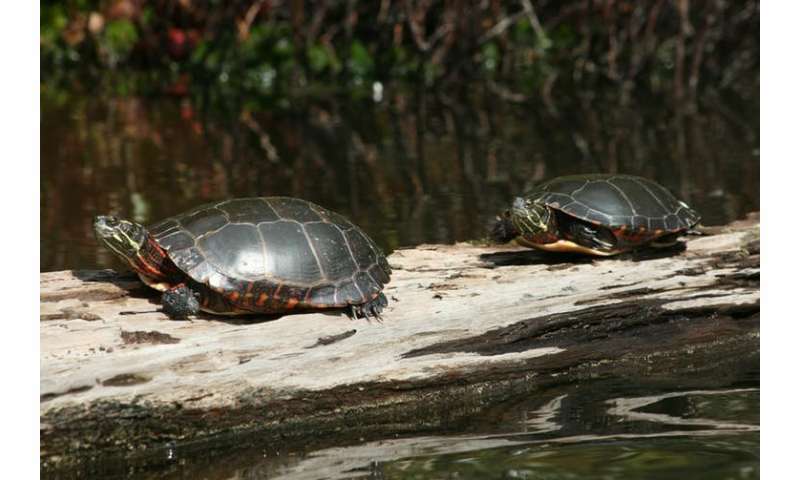 When turtles hibernate, they rely on stored energy and uptake oxygen from the pond water by moving it across body surfaces that are flush with blood vessels. In this way, they can get enough oxygen to support their minimal needs without using their lungs. Turtles have one area that is especially well vascularized —their butts. We are not turtles. We are endotherms —expensive metabolic heat furnaces —that need to constantly fuel our bodies with food to generate body heat and maintain a constant temperature to stay alive and well. 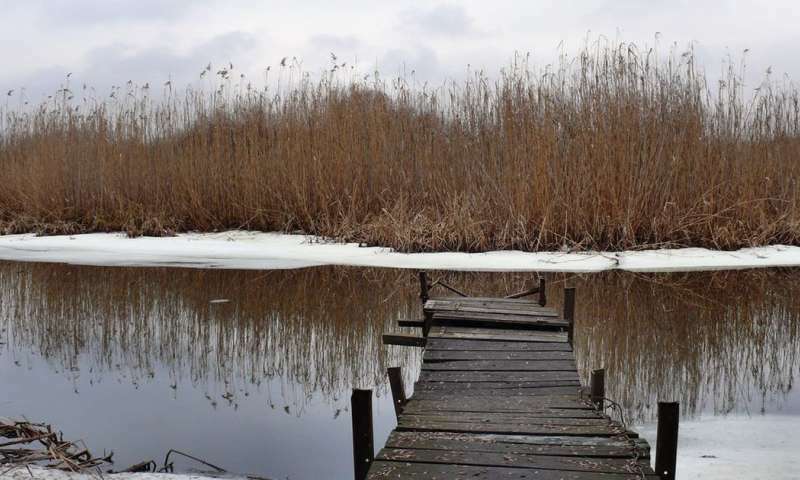 Over the winter, as the oxygen is used up, the pond becomes hypoxic (low oxygen content) or anoxic (depleted of oxygen). Some turtles can handle water with low oxygen content —others cannot. X marks the spot. 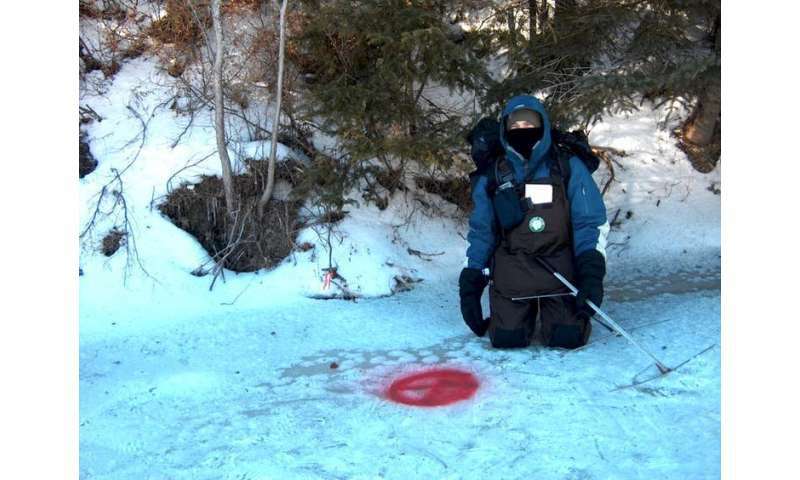 Former graduate student Bill Greaves tracks turtles during a cold Ontario winter. In the spring, when anaerobic turtles emerge from hibernation, they are basically one big muscle cramp. It's like when you go for a hard run —your body switches to anaerobic metabolism, lactic acid builds up and you get a cramp. The turtles are desperate to bask in the sun to increase their body temperature, to fire up their metabolism and eliminate these acidic by-products.